In this episode Dave(@withsobersenses) and Jon (@jonpiccini) chat with Padraic Gibson (@paddygibson) about his research into the Communist Party of Australia and its early, or lack there of, engagement with Indigenous struggles in the 1920s and 30s. Not only is the history fascinating but Paddy also really digs into what was wrong with socialist and communist thought at the time, and the inheritance of Marx and Engel’s work, that made it hard for the CPA to connect with these struggles. How and why did this change? And how do these concerns play out today? Paddy is a member of Solidarity and his work can be found there. Paddy was nominated as an interviewee by John Passant when John donated to Living the Dream. Thanks John! It has been twenty years since the Wharf Dispute between Patrick Stevedores and the Coalition Government on one side and the Maritime Union of Australia, the Trade Unions and supporters on the other. This was (so far) the last set piece national confrontation between Capital and Labour over a specific industrial dispute to happen in Australia. In this episode Dave (@withsobersenses) chats with Nick Southall about the Maritime Defence Committee. The latter was formed by comrades outside of the industry to provide meaningful support for the struggle. What happened during the dispute and are there implications for class struggle today? Picture: A Banner on the Main Gate of Patrick Stevedores East Swanson Dock in Melbourne. This episode is part one of a two-part interview with feminist scholar and activist Tanya Serisier. 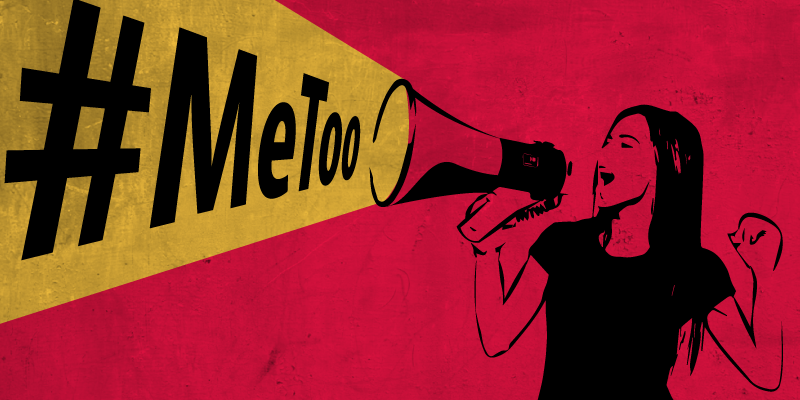 Tanya and Dave(@withsobersenses) discuss how #metoo can be understood in the history of feminist struggle against, and thought about, gendered sexual violence. Tanya discusses how complex these issues are: they evade easy answers and they bring up difficult questions about where such violence comes from and how struggle and speech against them sometimes breaks from the broader patterns of power and sometimes reinforces them. In this episode of Living The Dream (@withsobersenses) chats with Aaron and Michelle at Bad Habit Recordsabout what’s happening in Ipswich. The council is engulfed in a corruption scandal (complete with bashings in the forest), the centre of the town is in dire straits caught between neglect and a development project, the local economy is suffering except for a massive real estate venture in Springfield and the plan for a new, and hotly contested, super dump in New Chum. In the face of all this Aaron and Michelle are doing their bit stoking the embers of alternative culture and trying to bring to fruition a different vision for the city. This episode is a recording from Marx200 Brisbane of Dave's (@withsobersenses) presentation on Marx's Theories of Crisis . In this episode Dave (@withsobersenses) grabs a recorder and heads to the Labour Day rally. He interviews friends and comrades about the rally, what they think the impact of #ChangeTheRules has been, and if there is any opportunity to broaden and open up struggle? Due to a moments hestitation he didn't try to interview Sally McManus as she walked past.